A few months before the doors opened for the inaugural Breeders’ Cup at Hollywood Park on November 10, 1984, the doors opened for Winners Foundation which, like the Breeders’ Cup, continues working uninterrupted to this day. But unlike the Breeders’ Cup, which celebrates two days a year, the work of the Winners Foundation is largely uncelebrated 365 days a year, often 24 hours a day as the Foundation continually assists those who work with and care for the horses and the racetracks. The late Lou Rowan, a California owner and breeder and one of the founding directors of the Oak Tree Racing Association, gave much of his time helping racetrack employees whose lives were spiraling out of control due to drug and alcohol problems. A recovering alcoholic who understood the disease of addiction, Rowan helped more than a few people learn how to deal with their problems. But the needs at the track were greater than any one man could resolve, so in 1984 Rowan convinced the Oak Tree board to put a trailer in the stable area where 12-step meetings could be held to help alcoholics and addicts begin the process of recovery. Lou Rowan enlisted several other prominent horsemen including Gino Roncelli, Herman Smith, Jr., and Joe McAnally to develop a service to help and heal those with these afflictions. From that mission statement, Winners Foundation was established. From the backstretch to the Front Office, Winners Foundation has expanded its reach to help more employees and their families get a second chance at life and at work. Funded originally by Oak Tree but now supported by all of California’s racing associations (and individual donors), the organization has a presence at every track in the Golden State, helping front and backside employees troubled by alcohol, drugs, or gambling problems, as well as mental illnesses. 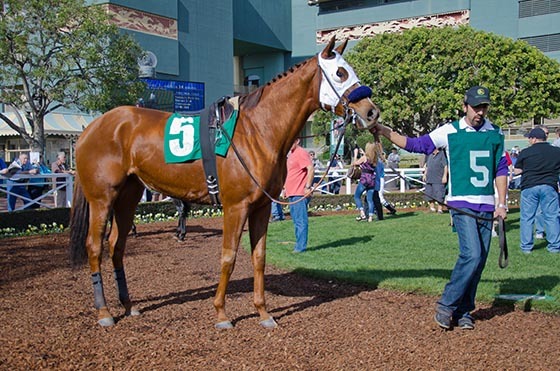 The Winners Foundation provides a vital service to the California horse racing community, with a large referral base and relationships with a myriad of mental health and substance use disorder treatment facilities including both inpatient and outpatient, city and county services, sober living environments and mental health practitioners. All arrangements and referrals made by Winners are at no cost to the employee or his/her family member, and confidentiality is paramount. Donate to Winners Foundation at no cost to you by joining the Ralph's Community Contribution Program. Together with your help, we CAN make a difference!